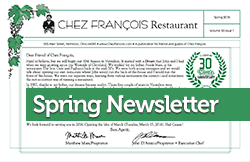 As we enter another awesome season upstairs, our staff has evolved into a top-notch crew bolstered by the well-trained staff at Chez François. This year we will feature intimate, well-priced wine, beer, and liquor tastings either at Touché or in the Parisian Room. We will feature our latest events and adult beverage specials on our Facebook page. If you are interested, please sign up. Can we patronize just Touché? Yes, Touché is a place where patrons can enjoy a quality adult beverage, an appetizer or dessert while relaxing in a comfortable, yet upscale, atmosphere. What adult beverages will you offer? We have a full liqour license and will offer a full bar with an emphasis on wines by the glass from around the world, martinis, single malt scotch and single batch bourbons as well as a collection of imported artisan beer from around the world. What hours is the café open? We will open Tuesday thru Thursday 5pm-9pm, Friday & Saturday 5pm-10pm, Sunday 4pm-8pm. Will food be offered upstairs? Absolutely. The cuisine will change with the seasons and feature small plates of food that compliment the adult beverages being served. A sample menu is shown here. We will also offer all desserts that are served downstairs at the restaurant. Our Thirsty Thursday features Mojitos, Margaritas and other cocktails made from freshly-squeezed lemons & limes and imported beer specials. Our Martini Fridays feature a fine selection of martini’s that best exemplify the summer season. Please join us as we salute the end of the week and the start of the weekend. Each Saturday we will feature a variety of rum drinks and fine sipping rum. Our annual “Smoker” will take place Monday, May 20, 2019. Please contact us if you are interested in joining. This is always a great excuse to get together with friends or business acquaintances to smoke great cigars, sip fine whiskey, dine on delicious cuisine, and discuss the upcoming sports year in Ohio. This is a private party for Chez Cigar Club members only. If you are interested in attending this event, or becoming a member, please call us at 440-967-0630. 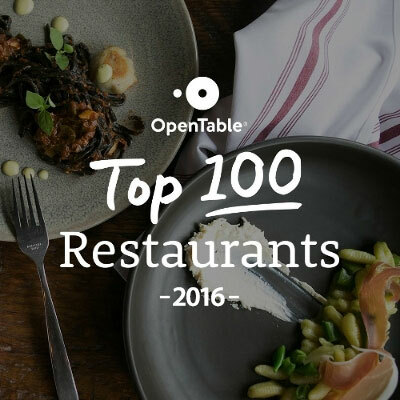 Over 2130 people have taken the time necessary to compliment Chez Francois at OpenTable.com. For first time visitors to our site-- WELCOME. Chez Francois is celebrating its 30th anniversary, and is one of the BEST restaurants in Cleveland and the surrounding areas. We're famous world-wide for our wine dinners and we're also the BEST Romantic Restaurant to celebrate everything from your proposal of marriage to your anniversary dinner. We're also highly regarded in the United States as a premier restaurant for waterfront dining. So please, pay us a visit soon for an experience you will never forget. Download our Newsletter here (2mb), or simply stop in for a meal and make sure to ask for a copy!